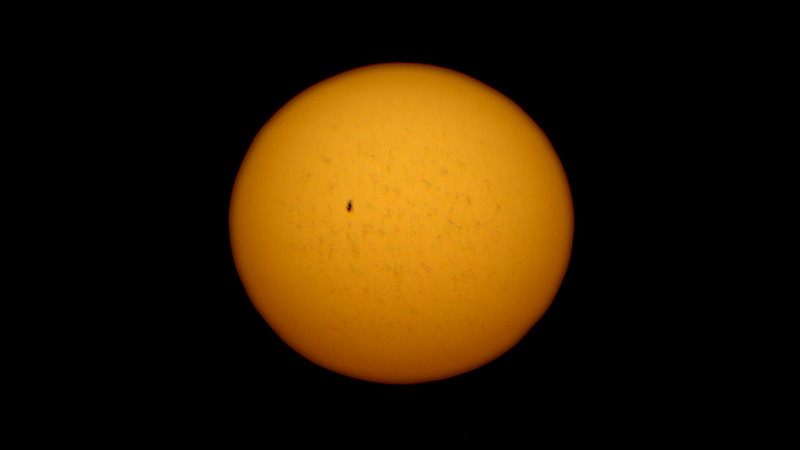 Solar observation through telephoto lens Tair-3S, 300mm, F/4.5, on Sony a6300 camera. Filter used is double coated 2 mill mylar foil. Usually picture look bluish, but this one is made near sunset, so orange colors dominates. This is my first photo of sunspot ever. Captured on Jan, 16, 2018, late afternoon (around 4:00 PM). It was sunspot AR 2696 according to Spaceweather.com. 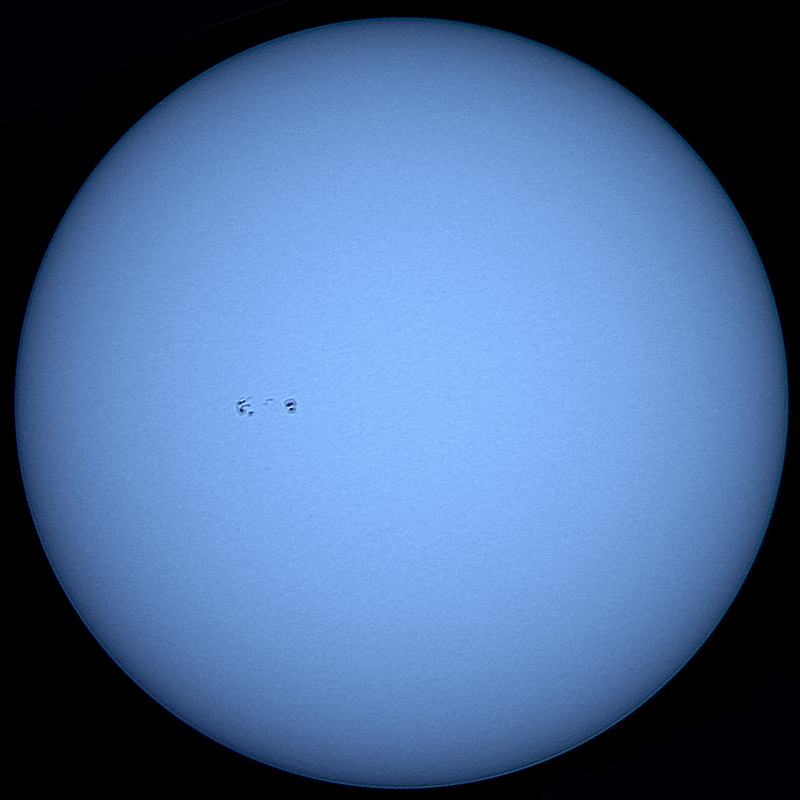 This time, orientation of the sun is not correct – sun’s north is not straight up. If it is captured exactly at the noon, or if I have equatorial mount, then I can make image so that solar north is exactly up, but so far no equatorial mount, and time of the day when it is possible to capture sun depends of weather condition. You may noticed that each picture looks bit different. 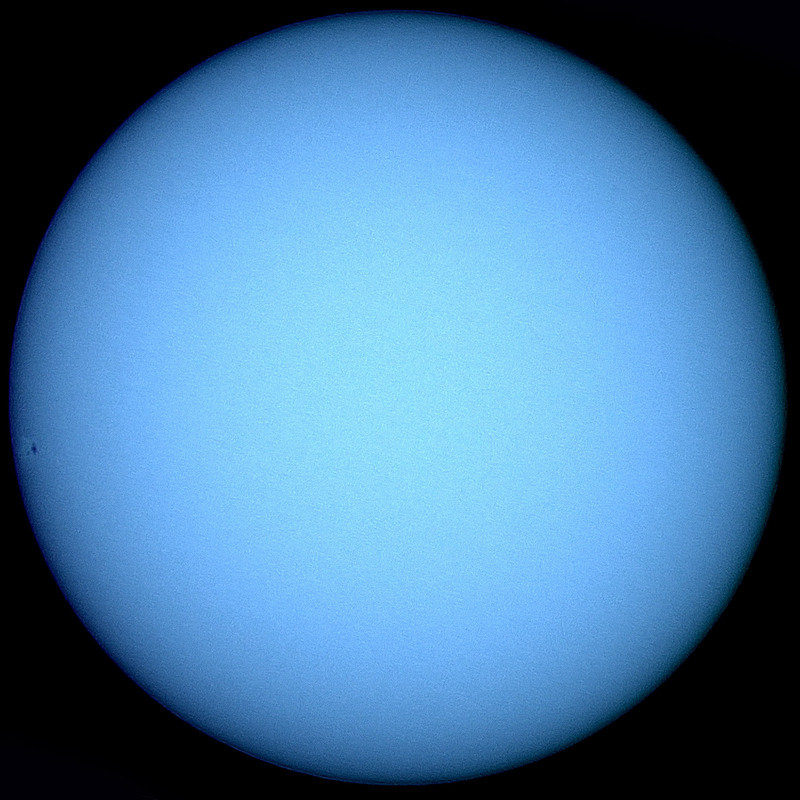 That is because I am making it by recording 20 seconds video (sometimes shorter due to clouds), then increasing contrast in the video, exporting many .TIFF images to one folder, then importing all into RegiStax, align, stack and finally contrasting image to the maximum possible. After that, I compare my result with image from Spaceweather.com and rotate image to be close to their image, so that solar north is about the same. It is not always the case that I am 100% precise. So far, still learning whole process, and perhaps one day will decide to use the same values for contrast and everything else, so that color and contrast is the same on every picture. But so far, it is bluish due to nature of aluminized mylar foil (reflecting most of the visible light, pass more in violet and blue end of the visible spectra).